Christian Donald Laettner was born on the 17th August 1969, in Angola, New York USA, and is of Polish ancestry. He is best known to the world as a former basketball player who spent 13 seasons in the NBA, playing for six different teams, including Minnesota Timberwolves and Atlanta Hawks. His career was active from 1992 until 2005, after which Christian embarked on a business career with his college friend Brian Davis, which also added to his net worth and popularity. Have you ever wondered how rich Christian Laettner is? According to sources, it is estimated that Christian Laettner`s overall net worth is $20 million, an amount which has been accumulated through his successful basketball career and his business ventures, which has become the main source of his net worth since his retirement from basketball in 2005. Ever since his high school days, Christian was a devoted basketball player; he attended the Nichols School, where he started playing basketball, and during his high school career, he set a few records, including most points scored in the school’s history. Furthermore to his career, he won two state titles with the team. After graduation, Christian enrolled at Duke University, where he continued in the same fashion, dominating in every category, and setting several records. He won 2 NCAA titles, and was named the National college player of the year in 1992. 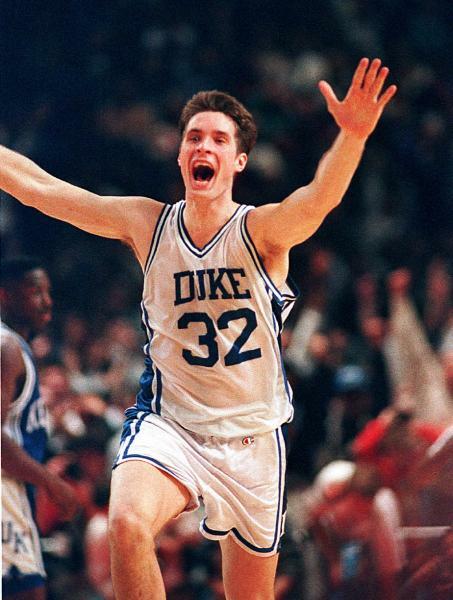 Furthermore, in 1991 and 1992 Laettner was named the NCAA Final Four Most Outstanding Player. Christian also was the only college player that was part of the 1992 USA Olympic team, later named “The Dream Team”, which led to his induction into the Olympic Basketball Hall Of Fame and also Naismith Memorial Basketball Hall OF Fame. In 1996, Laettner was traded to the Atlanta Hawks, where he earned his first and only All-Star appearance in the1997 season. In 1999 he was traded to Detroit Pistons, and from that point on his career had spiraled downward until his retirement, as he moved to four different teams, including Miami Heat, Washington Wizards and Dallas Mavericks, but from which contracts his net worth benefited. After his retirement, Christian teamed-up with his college friend Brian Davis, and started a community development company Blue Devil Ventures, which worked in the Durham area. Furthermore, the duo has expanded their area of business to sports, buying the Major League Soccer team D.C United. However, despite their supposedly successful business ventures, the media reports state that Laettner and Davis are in several credit debts, which are estimated at $30 million, which has decreased Laettner`s overall net worth. Regarding his personal life, Laettner has been married to Lisa since 1996; the couple has three children. The Laettner family currently resides in Ponte Vedra Beach, Florida USA. Christian is also recognized for his philanthropic work, as he has funded numerous training camps at Duke University.